Hudson Street Press, 9781594630743, 284pp. 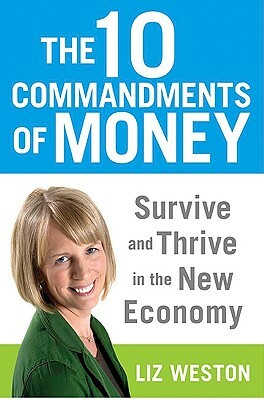 Liz Weston's goal is to provide THE practical guide to the brave new world of money. What "Sylvia Porter's Money Book" was to the 1970s, "The 10 Commandments of Money" will be for the 2010s. Liz Weston is the most-read personal finance columnist on the Internet, according to Nielsen/NetRatings. Her twice-weekly columns for MSN Money generate 10 million page views each month. Millions more read her Q&A columns that appear in newspapers including the "Los Angeles Times" and the "Cleveland Plain Dealer" and she is now writing a regular column for AARP. She is a regular commentator on American Public Media s Marketplace Money and frequent contributor to National Public Radio s Talk of the Nation and All Things Considered. Her television appearances include Dr. Phil, Today Show, NBC Nightly News, Fox Business and CNBC s Power Lunch. In addition, Weston has a highly interactive following with readers engaged in multiple venues: her blog, her fan page on Facebook (17,000 fans and building), her followers on Twitter, and her readers on the Your Money message board, MSN s most active with thousands of daily postings."